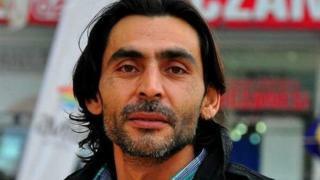 An anti-Islamic State activist and filmmaker has been shot dead by assassins in broad daylight in Turkey. Naji Jerf, 38, was shot with a silenced pistol in downtown Gaziantep, near the Syrian border, Turkish media reported. Mr Jerf was the film director for Raqqa is Being Slaughtered Silently (RBSS), a group of journalists who risk their lives daily to report on IS abuses. It is the second murder of a member of the group in as many weeks, after Ahmad Mohammed al-Mousa was killed in Syria. Mr Jerf was a vocal critic of the so-called Islamic State. He directed two recent documentaries about the group - one about the killing of Syrian activists in Aleppo, the other about the work of RBSS. He was also a father of two young daughters. A friend of Mr Jerf said the filmmaker's family had been granted asylum in France and was due to travel to Paris this week. As well as his work with RBSS, Mr Jerf was editor-in-chief of Hentah, a Syrian magazine that reports on the "daily lives of Syrian citizens", according to the publication's website. No group has said it carried out the murder, but Islamic State supporters in Turkey are the most likely suspects. This is not the first time IS has murdered a member of RBSS on Turkish soil. In October, Ibrahim Abdul Qader was beheaded in the southern city of Urfa. Another journalist, Fares Hamadi, was killed in the same attack. IS subsequently published a video warning: "You will not be safe from the knife of the Islamic State. Our hand will reach you wherever you are." The Committee to Protect Journalists condemned the murder of Mr Jerf. "Syrian journalists who have fled to Turkey for their safety are not safe at all," said Sherif Mansour, the CPJ's Middle East and North Africa programme co-ordinator. "We call on Turkish authorities to bring the killers of Naji Jerf to justice swiftly and transparently, and to step up measures to protect all Syrian journalists on Turkish soil." Turkish police say they have opened an investigation. RBSS is one of the few independent sources of news left in the northern Syrian city of Raqqa. The city, which IS has controlled since August 2013, serves as its de facto capital. RBSS has citizen-journalists operating inside Raqqa, despite IS making membership of the group punishable by death. RBSS was honoured last month by the CPJ.